Krishna and His girlfriend Radha on the bank of the Yamuna on a full-moon night in Vrindavana. 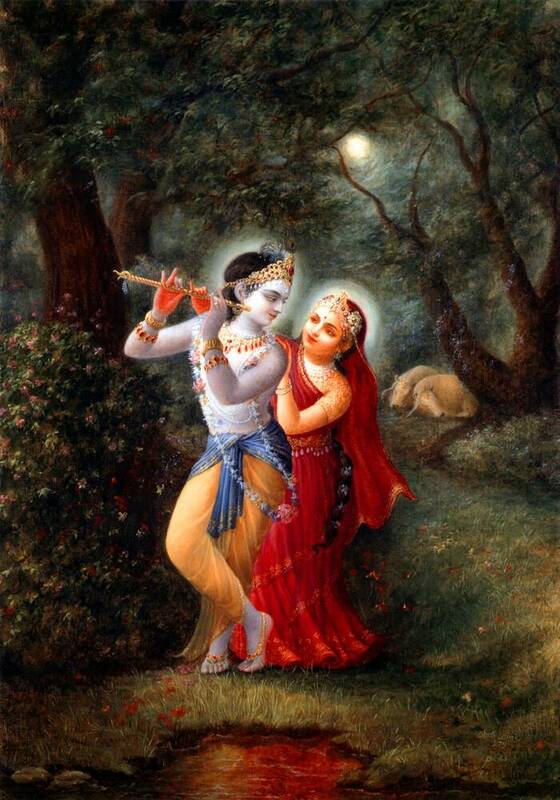 Krishna is playing beautifully on His flute while Radharani enjoys the nectarine sounds. Nice cows in the background too.